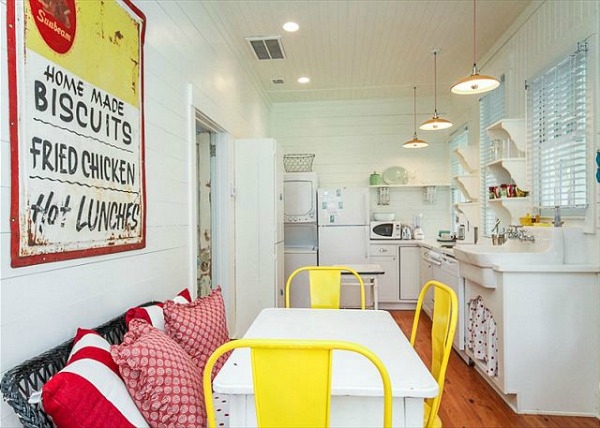 This colorful cottage in Georgia is a holiday home with the wow factor. 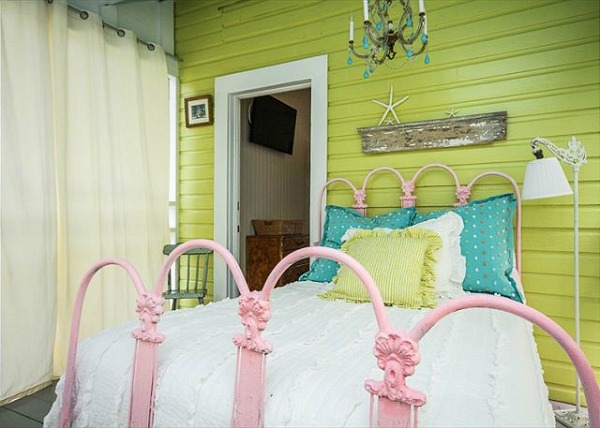 Situated on Tybee Island the cottage is a beach rental that will inspire and motivate you. 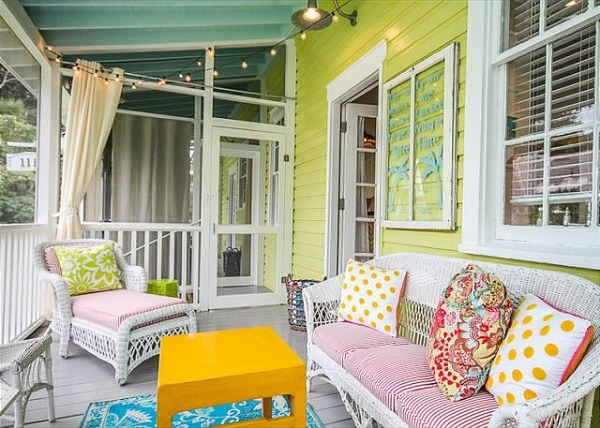 Beautiful pastel colors mingle with brighter shades and bring this colorful cottage to life. Looking at the exterior of the home fills you with nostalgia and a sense of how things were during the Spanish American war, when the cottage was used for housing troops. 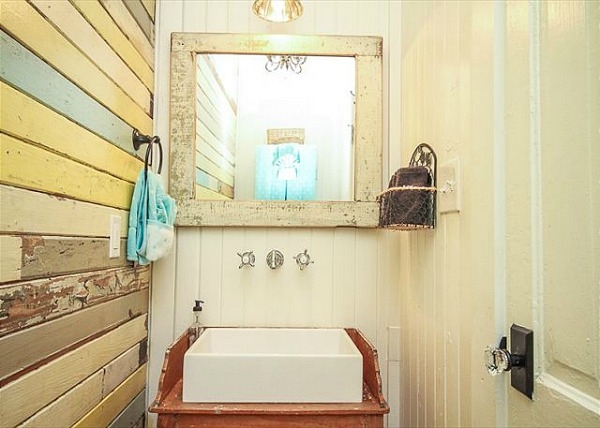 Now much improved, this colorful cottage is a great place to stay and enjoy summer holidays. 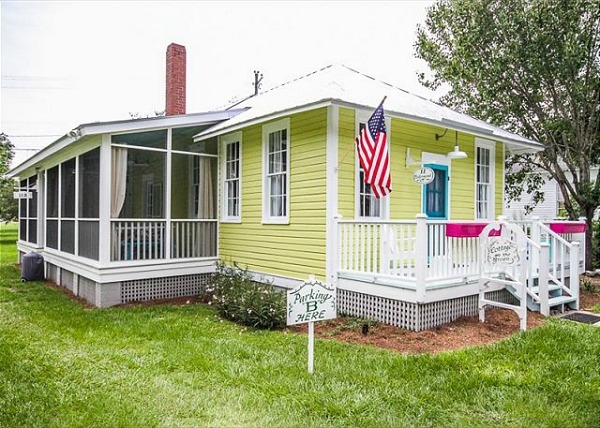 Aptly named “Cottage on the Green” this cute house has everything you could need and more. The covered porch is a fantastic space with many uses, and even has a bed for those who like to sleep out in the warm air. 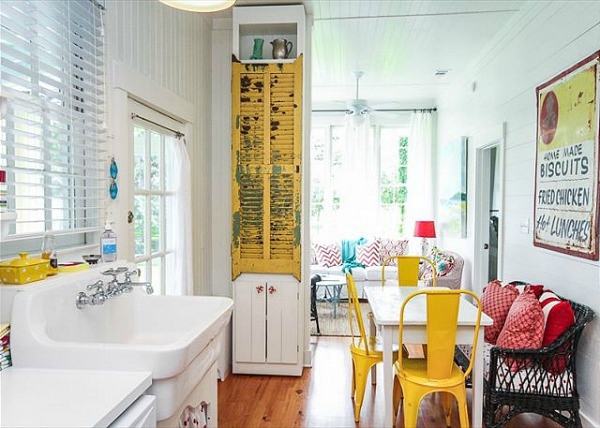 Vintage and new pieces of furniture plus pretty accessories give this colorful cottage a charming look. 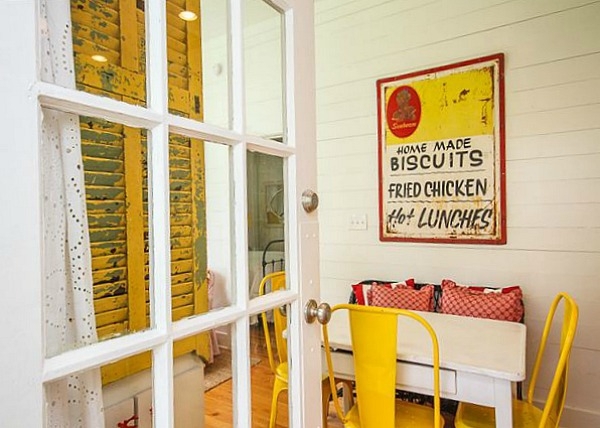 Vibrant art produced locally adorns the walls and the tall windows allow in plenty of natural light. You will find a well equipped and quaint kitchen with modern appliances and a dining area; a sunny sitting room with fantastic views and a neat bathroom. The interior walls and ceilings are wood panelled and painted white to give the illusion of extra space and a clean feel to the cottage. 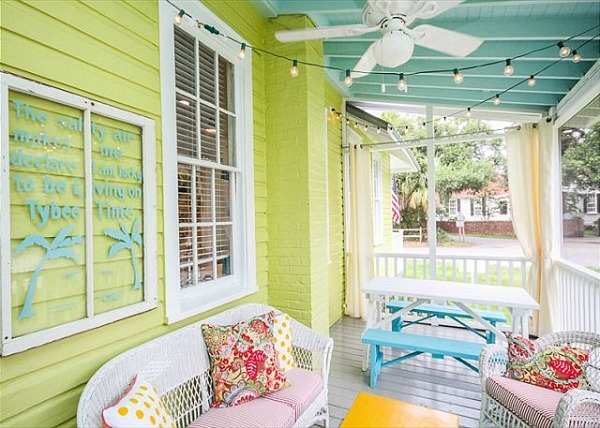 Enjoy evenings relaxing on the porch, cooking up a storm in the kitchen or watching the world go by from the front deck. 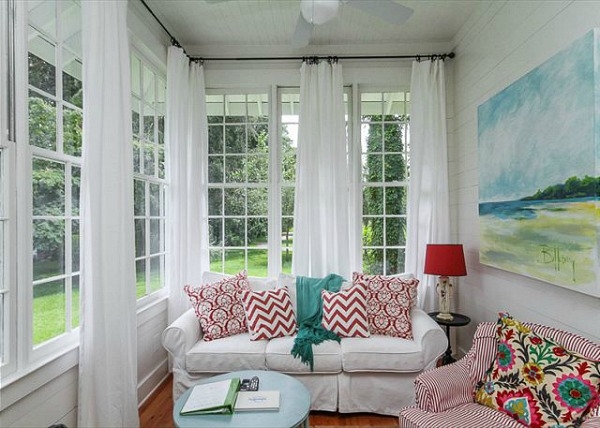 You will adore this cozy and colorful cottage which has its own style and a homely aura. 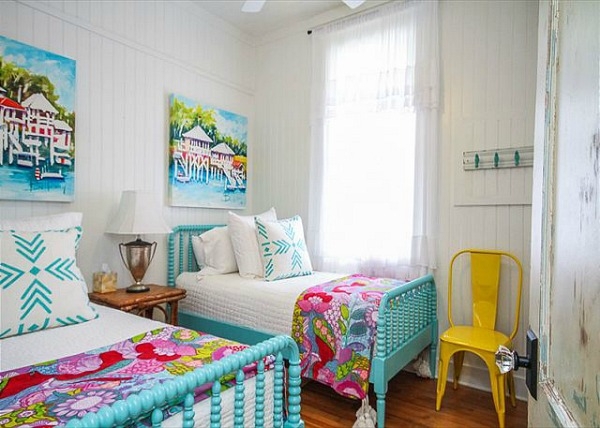 Jane Coslick, the decorator has truly put her heart and soul into this unique beach rental, making it a delight to stay in at any time of the year and a fantastic place for your family vacations.